Note: Lacking page numbers, I’ll use the “location” (loc) notation in Kindle to describe approximately where in the book each quote is to be found. Also, be prepared. This is pretty long. I am a rabbi, writer, and speaker focused on the Jewish context of faith in Jesus (Yeshua), on making the Hebrew Bible (Old Testament) simple, and on the intersection of Judaism and Christianity. Linda and I have eight children who fill our lives with fun and friendship. We are a homeschooling family dedicated personally to the value of a faith-filled home. My special interests include the Hebrew Bible, the Gospels, the life and teachings of Yeshua, theology, Second Temple Jewish history, Abraham Joshua Heschel, the early midrashim of the land of Israel, mussar, mysticism, the Hebrew language, Isaiah, the works of J.R.R. Tolkien and C.S. Lewis, science fiction, fantasy, Star Trek, and beer. Not necessarily in that order. He has been heavily marketing his Divine Messiah eBook on his blog for months, the most recent effort (as I write this) being Preview: Divine Messiah. In this short book (the print length is only 98 pages, so hardly the length of a chapter or two in most larger texts) which I downloaded onto my Kindle Fire for a nominal cost, Derek proposes to do what I would consider the impossible: to describe, from a Messianic Jewish point of view, the “mechanics” of Yeshua (Jesus) being co-equal to God the Father. My personal opinion is that the Deity and Divinity of Yeshua remains a profound mystery that defies analysis and that can only be reasonably discussed in the realm of mysticism (I refer the reader to Messianic Luminary Paul Philip Levertoff’s classic Love and the Messianic Age along with its accompanying textual commentary, both published by First Fruits of Zion, for insights into Jewish mysticism within the Messianic perspective). The purpose of my current review is to determine if Derek reasonably makes his case that Jesus Christ, that is Yeshua HaMashiach, is indeed God as God the Father is God, that he is worthy of worship and devotion as God, and that the early Messianic Jewish and Gentile disciples worshiped Jesus as God beginning in the early to mid-first century CE. I will mention as a caveat that there is no one “Messianic Jewish perspective” on anything. Derek represents primarily his own point of view although I can only imagine he draws heavily from his affiliation with the scholarly and authoritative body Messianic Jewish Rabbinical Council. He also draws a great deal from the work of Dr. Larry Hurtado, “New Testament scholar, historian of early Christianity and Emeritus Professor of New Testament Language, Literature and Theology at the University of Edinburgh, Scotland.” I should say that I am also a “fan” of Dr. Hurtado’s work and have received a number of personal insights from his recent and classical writings. Derek wrote his book in six chapters and I’ll structure my review likewise, followed by a conclusions section. Derek then proceeds to a number of texts in the Hebrew Bible, principally Daniel 7, also referencing Talmudic scholar Daniel Boyarin’s commentary on the same scripture in his book The Jewish Gospels: The Story of the Jewish Christ, as well as historical notes from other noteworthy Jewish sources such as Rabbi Akiva, Don Issac Abravanel, and of course, the apostle Paul, in order to build a case for how Jewish thought at different points in history, considered God and his “chief agents” as well as how these agents were similar to and different from Yeshua. They saw the Glory of God reflected in the face of Yeshua the Messiah. They saw Yeshua enthroned at God’s right hand and heavenly beings prostrate before both of them. They saw something new, far beyond the other kinds of divine agents in the Hebrew Bible and in Jewish literature of various types. Having set the stage, Derek next takes a look at the traditional Jewish view of God in the Tanakh (Old Testament), although it should be noted that there is no single, overarching Jewish “opinion” on the nature of God. The Hebrew Bible is not the record of a God who can be fathomed. His appearance to people is always a surprise. He can appear in ways deceptively small, a bush in the desert. He reveals himself as eternal, with foreknowledge and an unchanging nature, yet acting in human history, regretting things, and at least in appearance moving with events as a participant in them. Monotheism may not be as simple as it seems. The Divine Messiah realization was not disclosed in the Hebrew Bible, but only afterward. This may be rather shocking to most Evangelical Christians who cite various proof texts from the Old Testament which they believe establishes Jesus as Messiah as well as Jesus as God. And yet, a careful reading of the Torah, Prophets, and Writings does not lead us to obviously conclude that the Messiah must be God. Apart from the aforementioned Daniel 7, we don’t have any evidence that the Bible presupposed Messiah as God prior to the New Testament. God’s Spirit does things requiring active verbs. God’s Spirit was brooding. God does not directly enter the world but sends aspects of his being which are mysteriously undefined. Humanity can hardly grasp even imagining the totality of an infinite God. We can’t even grasp the vastness of God’s creation, the universe which is inconceivably large and yet which must be finite. So then, God in all His infinity does not intersect with our universe but rather “aspects” of God that can be witnessed and can interact with our environment and with ourselves. Hence the various “forms” of God we see evidenced in the writings of the Tanakh. God is not a man, but he is not averse to appearing as one. It can be argued that none of the “man-like” supernatural figures appearing in the Tanakh, including Jacob’s “wrestling partner” (Genesis 32:24-32) are not God but angelic representatives or agents, so we may never see God incarnated as a man in the Hebrew texts. Exactly who or what walked with Adam in the Garden (Genesis 3:8), I have no idea, but God did not have to appear human. …it should be clear by now that the appearances of God are extraordinarily incomprehensible. Derek even suggests that Trinitarianism (God, Messiah, and Spirit) is supported in the Hebrew Bible, but is far less specific than Christianity’s view of the nature of God. Derek continues to address the nature of God starting out with the two views: God as Force vs. God as Distant. God as Force is seen as the prime actor within our universe but not transcending our universe…personal, active, but wholly embedded in Creation. God as Distant is ultimately transcendent and who set all into motion but then ignores the universe as we might ignore a clock once we set it to the correct time. God is impersonal, the subject of philosophical study, but supremely unapproachable and incomprehensible. Let me be clear from the beginning (note: though we’re about a third of the way through his book at this point) there was not in normative Judaism the idea exactly like the “binitarian monotheism” of the early Jewish believers. Did the rabbis have any comparable inspiration to offer regarding God being present in the world of their time? They certainly did and with great beauty they talked about the Word (Memra, Dibbur, Davar), the Shechinah (Presence), and the Spirit. What they did not do — though some have misinterpreted their words as if the divinity of Yeshua is paralleled in rabbinic sayings about Messiah or the Word — is describe any separate entity equal to God. Christianity as well as Messianic Judaism, has been accused repeatedly by more normative branches of modern Judaism as well as “anti-missionary” organizations, of deliberately (or sometimes just naively) misusing rabbinic literature as evidence of “Jewish” support for Yeshua as Messiah as well as a “Divine Messiah”. I appreciate Derek’s integrity here in refuting this practice, and twisting the teachings of the rabbinic sages to say what the authors never intended merely cheapens our efforts to be a witness of Yeshua as Messiah. That said, I do think it’s true that the later rabbis may have interpreted sections of the Bible to deliberately create distance between Jewish and Christian perspectives. Derek returns to the first century Biblical narrative and particularly to Paul and how his letters seem to manage the “Divine Messiah realization.” Agreeing with Hurtado, Derek proposes an early worship of Messiah as God but does say that such a “realization was thought blasphemy when it first appeared” as implied in the story of Paul. Again citing Hurtado, Derek states that Paul actually inherited the concept of “Messiah as Divine” from the earlier Judean Yeshua-believers, rather than, as many critics claim, “reinventing” Yeshua the itinerant rabbi from the Galilee as a Deity. In the early half of the first century, it happened so suddenly that there are no records of the way the innovation came about. The early community of Yeshua-followers started believing and practicing something beyond any previous concept. Hurtado’s 2005 book How on Earth Did Jesus Become God: Historical Questions about Earliest Devotion to Jesus covers this territory more thoroughly and is the source of much of Derek’s material. Interestingly enough, Derek also leverages Bart Ehrman’s newly published book How Jesus Became God: The Exaltation of a Jewish Preacher from Galilee. I say “interestingly” because Ehrman is both a New Testament scholar and an agnostic, and because Hurtado recently reviewed the same book by Ehrman, providing additional dimension to Derek’s research. In other words, Paul is willing to see Yeshua in the Shema, regards Yeshua as worthy of equal relational faith as God, and sees the one God as the Father and the one Lord as Yeshua. I have to admit at this point, it’s difficult for me to sort out how “God is One” and yet to have God the Father and Jesus the Lord so differentiated and yet both being God. I think this is what happens by necessity when anyone actually attempts to analyze or map out the “nuts and bolts” of trinitarian thought. Derek calls one of the sections of this chapter “Careful but Confusing Language about Yeshua,” which says mouthfuls. Some of the doubt critics of Christianity have regarding the Deity of Jesus is that the Bible never comes out and says “Jesus is God.” It certainly would be helpful for those of us who don’t always want to be reading the Bible as a puzzle or a mystery story to be solved, if the New Testament writers would have been more explicit. But they said “Yeshua is Lord” not “Yeshua is God,” so we’re left with something to interpret rather than a plain, peshat statement. Derek again emphasizes that no other Biblical figure save God was accorded such devotion and worship, as evidenced by the early hymns about Jesus, prayer to God “through” Jesus, calling upon the name of Jesus, confessing Jesus, and so on. Even Derek admits that this verse may not be sufficient to support the idea that the early disciples prayed directly to Jesus (bypassing God the Father altogether), but then he goes on to present a larger body of evidence. In one of my reviews (I don’t recall which one) of D. Thomas Lancaster’s The Holy Epistle to the Hebrews sermon series, I mention that Lancaster says Yeshua’s statement in Mark 14:64 (which I mentioned above) is what got him killed. Derek mentions this again as the foundation of how later opponents to the concept of a Divine Messiah saw the actual worship of Yeshua as Lord (God) as blasphemy, leading to persecution of the Jewish Jesus-believing ekklesia by other branches of first century Judaism. And yet, referencing Hurtado and Tilling, Derek believes the evidence of Yeshua-worshiping Jewish and Gentile believers is painted all over the New Testament writings. Some have complained that Hurtado’s evidence that the early believers regarded Yeshua as divine is sparse, based on too few examples and that there is inadequate information about the causes of the new belief. Tilling says language about God-like relational aspects of Messiah with believers nullifies this objection. Further, according to Derek, Paul most often refers to “the Lord” when addressing Yeshua but in referencing God, he uses “Father” or “Abba,” apprehending both as God but differentiated with different titles. One traditional criticism, both in ancient and modern times, from normative Judaism is that “Christian devotion to Jesus is idolatry.” If you literally worship a common human being as a “god” then you do have problems, but all of Derek’s narrative has been illustrating that not only is Yeshua unique among humans and agents of God, but that he is specifically and uniquely an object of worship equal to God but not representing a separate “power” from God (no “two powers in Heaven”). He presents his evidence (though exclusively from the New Testament) that worship of Jesus is directly opposed to worshiping idols or pagan (false) gods, and how worship activities such as “the cup of Yeshua” or “the Lord’s supper” were considered “as being as sacred as the Israelite sacrificial meals.” Of course, from a normative Jewish point of view, if you discount the New Testament as an authoritative source, this doesn’t behave much like evidence. It is by the Spirit that we can say, “Yeshua is Lord.” In other words, there is a mystical communication to the soul which cannot be put into words. The last two chapters of the book are relatively brief and seem to be Derek’s summing up of what all this is supposed to mean to us today. Fire on a mountain is one thing. A divine man is quite something else. We can’t just study the Bible and expect to learn and grow. “Knowing is experiential as well as intellectual.” Being a disciple of a living and Divine Master is just as much a matter of doing as thinking or feeling. We “behave” in our lives and toward Jesus as teacher, prophet, master and yes, God as Derek would have us believe and do. And yet he says again, “The nature of Messiah, a mystery we only begin to perceive…” (loc 1356) We learn, we know, we believe, and it is all still a profound mystery, which by its very definition, makes writing a book about said-mystery problematic at best and impossible at worst. We have consequences for not having faith in the Divine Messiah when he returns. The Messianic Jewish belief about God and Messiah is that God has taken an unprecedented new step in lifting up to himself all humanity. This idea is based on a real historical phenomenon that requires some sort of explanation. People could obviously quibble with us about this or that point. But the case has its own internal consistency and a compelling persuasiveness worth considering. Given the open ended nature of Turning Torah how is one to know which meaning is the right one? This is an excellent question, but not a Jewish one. For us there is no one right reading of Torah. There is only the next reading. Of course different Jews will have their preferences, claiming one reading to be superior to others, but this is personal bias rather than a system of right and wrong readings built into the process of Torah Turning. And so it goes with how we read the story of Yeshua in the Gospels and other Apostolic Writings. Christian literature is replete with apologetics in support of Jesus as Deity, as co-equal with God the Father and God the Spirit. It’s not as if what Derek Leman wrote was the first ever attempt at revealing Lord Jesus to the believing masses. What was unique, at least relatively so, was making this effort from a Messianic Jewish perspective. I liken it to D. Thomas Lancaster’s presentation of the New Covenant and his interpretation of The Epistle to the Hebrews. This has long since been considered as “Christian” material, completely disconnected from any association with Judaism, reconsidered and reinterpreted from a Messianic Jewish framework. If you weren’t convinced of a Divine Messiah before this, chances are you won’t be convinced by this book. However, if you are a Jew or Gentile worshiping and studying within a Messianic Jewish context, either individually or in community, I think Derek may have given more than a few of you something new to think about by writing this book. Remember though that while I (and many others) consider Messianic Judaism to be a Judaism (and not a Christianity as such), it is hardly universally accepted as a Judaism, either by the Church or by the other branches of Judaism as Rabbi Shapiro aptly points out. There is one limit, however, that is imposed from the outside: arguing for the sake of heaven cannot lead you out of the community. This is a sociological argument imposed by most rabbis. If, for example, a someone turns Torah and finds in God’s use of the plural “us” in “Let us create humanity in our image after our likeness” (Genesis 1:26) proof of the Christian Trinity of Father, Son, and Holy Spirit, almost every rabbi would disavow such a reading. But there is no reason to do so other than the fact that it leads one out of Judaism and into Christianity. This is the bitter pill Messianic Judaism swallows in its desire to consider the other Judaisms us, not them. Here is where Derek Leman and the other Jews in Messiah walk a difficult line, embracing a vision of Messiah that has long been associated with Christianity while attempting to refactor it through the lens of Hebrew thinking, scripture, and commentary as wholly Jewish. Repeatedly, Derek said that the evidence indicates Yeshua-worship in the first century CE was an entirely new and unanticipated concept and activity for any branch of Judaism. The Jewish disciples must have been startled at the sudden inception of a Divine Messiah. They scarcely could have believed in a Messiah that could actually be God. It must have been far easier for the Greeks to adopt this notion, and no wonder so many Jews could not accept it. Christianity has long assumed that the Jewish “offense of the cross” was Jesus as God, but my studies have often shown me that it was Gentile inclusion in the ekklesia as equal co-participants that was the main reason so many other Jewish sects rejected “the Way.” Could another reason for the early rift between the Jesus-believing Jews and all of their brethren also have been the unprecedented worship of the God-Messiah? Read Derek’s book and see where his arguments take you. The activities of G-d’s son Israel, is further explained in terms of Israel described collectively as a servant. Certain of the prophetic specifications, which Christians often view as pointing exclusively to Jesus, are in fact borrowed from biblical descriptions of Israel’s experience. For example, in Isaiah 53:7 the servant of the L-rd is said to be like a flock led to the slaughter. In Psalms 44:22 Israel is said to be like a flock led to the slaughter. 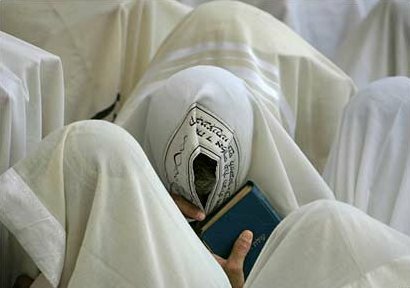 Hiding the face from others is the behavior proscribed by the Torah for a leper (Leviticus 13:45). We have no record of Jesus hiding his face. In fact, Christian teaching emphasizes the opposite: that Jesus is the disclosure of God; that in seeing Jesus’, God’s face is seen [2 Corinthians 4:6; John 14:9; 1:18]. SOMThe activities of G-d’s son Israel and G-d’s servant Israel is further explained in terms of Israel described collectively as the son of man. In the 7th chapter of the book of Daniel, we learn of a prophetic vision granted to Daniel. He tells us of four great beasts rising out of the sea, one after another. After describing each of the four beasts Daniel sees “one like a son of man (כבר אנש Aramaic) coming with the clouds of heaven” (Daniel 7:13). Nearly all Christians do not entertain the slightest doubt that this verse is talking of their messiah Jesus! Indeed, they will even selectively quote that Jewish commentators like Rashi, who says that this verse is speaking of the King ‘moshiac’ (משיח Hebrew). To the Christian mindset ‘moshiac’ and ‘messiah’ are understood as interchangeable and are equivalent terms! A look at Daniel 7 shows that the Hebrew word ‘moshiac’ cannot appear anywhere in Daniel 7 because Daniel 7 is in Aramaic. The term ‘one like a son of man (כבר אנש Aramaic)’ is found in Dan 7:13. In the early half of the first century, it happened so suddenly that there are no records of the way the innovation came about. The early community of Yeshua-followers started believing and practicing something beyond any previous concept. The Divine Messiah realization can be described from two perspectives, from below and from above. From below, it is the recognition that one who appeared to have been a teacher and miraculous messianic figure was actually someone much more exalted. From above, it is the realization that God and Messiah are different and yet utterly one in nature. Bart D. Ehrman is the author of more than twenty books, including the New York Times bestselling Misquoting Jesus and God’s Problem. Ehrman is the James A. 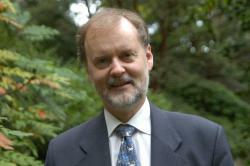 Gray Distinguished Professor of Religious Studies at the University of North Carolina, Chapel Hill, and is a leading authority on the Bible and the life of Jesus. He has been featured in Time and has appeared on Dateline NBC, The Daily Show with Jon Stewart, CNN, the History Channel, major NPR shows, and other top media outlets. He lives in Durham, N.C. The goat [of the Day of Atonement] that was sent [into the wilderness] (Ley. xvi. 20, seq.) served as an atonement for all serious transgressions more than any other sin-offering of the congregation. As it thus seemed to carry off all sins, it was not accepted as an ordinary sacrifice to be slaughtered, burnt, or even brought near the Sanctuary; it was removed as far as possible, and sent forth into a waste, uncultivated, uninhabited land. There is no doubt that sins cannot be carried like a burden, and taken off the shoulder of one being to be laid on that of another being. But these ceremonies are of a symbolic character, and serve to impress men with a certain idea, and to induce them to repent; as if to say, we have freed ourselves of our previous deeds, have cast them behind our backs, and removed them from us as far as possible. CHAPTER XLVI, THE GUIDE FOR THE PERPLEXED, BY MOSES MAIMONIDES. The Nicene Creed (Greek: Σύμβολον τῆς Νίκαιας, Latin: Symbolum Nicaenum) is the profession of faith or creed that is most widely used in Christian liturgy. It forms the mainstream definition of Christianity for most Christians. I’ll allow this rather lengthy response to my review of Derek’s new book for the sake of discussion (though you’re really writing your objection to Jesus-belief in general), but I won’t tolerate additional, similar comments that do not add value to constructive dialog. James, thank you for the honest review. I hope you will post a shorter one on Amazon as well. You say in one part of this review that you doubt anyone not already open to Messiah’s divinity will be persuaded by my arguments. 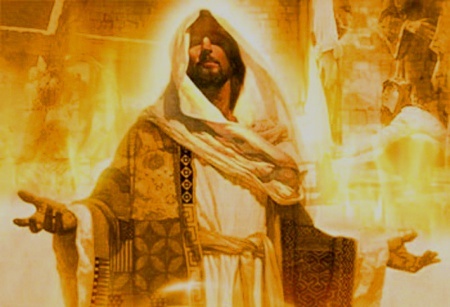 I won’t debate the value of rhetoric and persuasion, but I will point this out: very few Jewish people are aware of the historical case for Yeshua’s resurrection and and for the divine Messiah realization. Most believe a parody of the historical event, that some “Goyim” came along and invented a divine Jesus which had no relationship to the actual Galilean teacher. And since most Messianic Jewish and Christian clergy are unfamiliar with a historical perspective, there is little chance of most Jewish people finding out about it. I actually hope my book will clarify issues for people and create a greater awareness and discussion about it. Actually, I was anticipating a response similar to Menashe Dovid’s in that your material, regardless of how well researched it is and how clearly it’s presented, still may not reach people who have been taught their whole lives that accepting a Divine Messiah is blasphemy and idolatry. That said, the power of human curiosity (not to mention the Holy Spirit) can do wonders. I’ll leave how your book may change hearts up to God. I can only review it from a human perspective. You would have to be raised Jewish to understand. This is not condemning you Derek but a reality. It is irrelevant from a non believing Jewish perspective whether they are aware of the historical case and the divine realization. When I told my parents I believed in Jesus, the first thing they addressed and were concerned about was idoliatry. No historical case or divine realization could change their minds. This is why there was a separation between Yeshua Jewish followers and non believing Jewish community forming an ekklesia of Jewish Yeshua followers who believe in the historical case and divine realization of Yeshua. You have to walk in the shoes as there was a time in my life when I believed like my parents and the rest of the unbelieving Jewish community. Most believing Jews like myself from my experience came to believe by divine revelation/realization as most like myself weren’t raised as believers to begin with. When I wasn’t a Jewish believer you couldn’t convince me of any historical evidence and divine realization until I had the divine realization myself. The, “we don’t need a Messiah; Messiah is a third wheel,” is a Tovia Singer meme continually regurgitated all over social media. Tell that to the Rambam, Chabad and everyone in between. Please, let’s not pretend that the MRC is either a scholarly or an authoritative body. But I’m sure your supporters that are about 80% former evangelicals and perhaps 10% former Catholics don’t mind. As far as Messianic Judaism being considered a Judaism, perhaps that would have been possible 30 or 40 years ago, when despite the, “torah lite,” at least the majority of the participants were Jewish. It appears that MJ is neither the Christianity it is accused of being by antimissionaries, nor the Judaism its adherents claim it to be, but something more akin to a mishmash of Sabbatarians, some with Jewish grandfathers. Dumb question: By what alchemy does a gentile graduate of a Methodist University become a rabbi? And no @Derek, these conclusions are not due to bitterness or, “unhealed hurts,” but based upon my training in journalism, examination of data and of course my own personal biases. And yes, if someone expects me to buy their viewpoint, they need to be able to provide evidence, rather than manipulation refusal to answer questions. But there’s a huge evangelical market out there that will buy almost anything. I’ll permit this comment even though it’s personalizing conflict and disagreement rather than looking at the book or my review of it. After all, I’m assessing the material presented, even if your opinion of its source is less than complementary. You certainly have the right to your opinion of course Chaya, but I’m not always going to provide the platform for its expression. Please keep that in mind and re-read my comments policy if need be. Sure James. I felt a preemptive strike was needed, lest my opinion be construed as a DSM-5 diagnosis, as is the habit of some. It should have occurred to me that if a blogger truly believes that disagreement is sourced in negative experiences within their camp, there must be quite a lot of these? @chaya — I don’t understand what occasions your outburst against the MJRC, unless it is because they had the audacity to sanction a conversion, and later a rabbinic smicha, both of which you seem to deem to have been improper. You seem to dismiss MJ as a form of Judaism because too many gentiles have jumped onto its bandwagon. I suppose your dismissal of the MJRC as a rabbinic body may derive from that general dismissal of MJ. But I rather doubt that you’ve exercised journalistic investigative techniques to interview all the members of the rabbinic council so as to criticize any of them for lack of scholarship; and the authority of any rabbinic council depends on the constituents who turn to them for Jewish guidance. That being said, you asked about what sort of alchemy can transform a gentile graduate of a Christian university into a rabbi. Obviously, the first step of any conversion begins with its raw material in a gentile who is motivated to join the Jewish people. This proselyte must study under the guidance of one or more rabbis and must practice living in some sort of Jewish community. Perhaps this is where you begin to doubt that MJ has the needed internal infrastructure to support this aspect of the process. While I don’t know where Derek’s process proceeded, I do know that at least some few MJ venues are not so overwhelmed with gentile newbies as to invalidate their Jewish environment. But some proselytes spend a period of experiential study in traditional synagogue communities in order to absorb what you might deem an untainted atmosphere. Upon completion of some study period, the prospective convert must be examined by a competent Beit Din. The definition of this competence varies among the existing streams of Judaism, and one may always press for higher standards to be observed in any of them, but I have confidence that halakhic conversion standards are upheld by the rabbis of the UMJC and the MJRC who participate in such processes. But beyond completion of conversion, any convert may continue to study and even reach a level that may be deemed suitable to be ordained as a rabbi. Here also, one may continue to press for higher standards to be observed; but one may not challenge a rabbi’s ordination, or the body that ordained him, just because he later writes material containing ideas with which one disagrees. Nor may one point back at his prior educational background as a justification for dismissal. People have often travelled strange paths on their way to Jewish destinations, Such paths are less important than the learning that occurred along the way. If there are criticisms to offer and challenges to be presented — and I’ve disagreed with Derek myself from time to time about various notions, including his approach in this book — those criticisms must be based on current information about a topic and may not descend to the level of ad-hominum attack. As for your complaints against the demographics found in nominally MJ venues, I do not disagree; and I have stated here and in other blogs my own positions about what MJ should be, how it should and should not be defined, and what behavior and knowledge and orientation should characterize its adherents. I also support James’ and FFOZ’s efforts to map out the uncharted territory for gentiles to benefit from a truly Jewish restoration of MJ, supportively alongside of it rather than overwhelmingly quashing it by crowding into and trampling what should be Jewish space. It’s not a Tovia Singer meme. It’s something that deeply seeded. James said: I have to admit at this point, it’s difficult for me to sort out how “God is One” and yet to have God the Father and Jesus the Lord so differentiated and yet both being God. James, I see it this way: God is One in relationship, not in singularity. John chapter one certainly does when it says the Word was with God and the Word was God …and the Word became flesh. It couldn’t be any clearer that this is referring to Jesus. While it doesn’t literally say “Jesus is God, it identifies the Word as being God, and that the Word is Jesus. I still don’t think we will ever (or perhaps were ever meant to) understand the “mechanics” or the “nuts and bolts” of how the Divinity of Messiah is supposed to work relative to God the Father or as I think if Him, the Ein Sof God. The Bible can only communicate to us (I know I’m going to get in trouble for this) information on a human level that we can comprehend as finite, mortal beings. God is infinitely larger and more complex than that and as smart as we think we are, we need to reach the point where we admit we simply can’t understand everything about God. Onesimus said: ” Revealed by the Spirit, not by academic study or argument”. The important thing is not understanding “about God” it is knowing God. If I added more it would merely be repeating what I’ve said several times before. I’ll accept the distinction between knowing about God and knowing God, but from my perspective, in the current age, knowing God means accepting that even the Holy Spirit won’t reveal (or perhaps can’t because of the limits of a human mind) all of God because, after all, God is infinite. It isn’t necessary for us to know everything about God but the Holy Spirit will reveal what we need to know. However, that revelation is often limited by what we are willing to know. I am responding quickly and paraphrasing from memory: When Thomas saw the nail prints didn’t he respond with my L-rd and my G-d? Didn’t Peter respond to Yeshua …you are the son of the living G-d? Didn’t Yeshua in his prayer ask to have the glory restored to what he had ‘before..?’ I teach my children that G-d had to take our nature to give us His. I use the example of the sun in the sky, that no matter what we do, we can not get close to the sun due to the nature of the sun. We will burn up. However, if somehow we are clothed in the nature of the sun, then we could embrace the sun. In Yeshua, we are clothed in His righteousness, thus His nature. 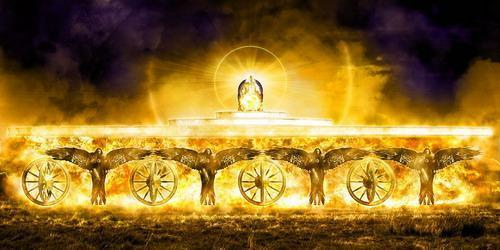 G-d told Israel not to touch the Ark of the Covenant because His presence would be there, if they touched it, they would die. That is the glory, I tell my children, that Yeshua had to have emptied in order to be among us. Yes, maybe too simplified, but I am learning. Thank you for the review. @Cynthia — Just FYI, that exclamation from Thomas about “my Lord and my G-d” is just that, an exclamation and not a theological confession or analysis. Just as English contains exclamations like “My G-d!” (or “OMG!”), “Oh, Lord!”, and the like, so does Hebrew. The phrase “Adonai v’Elohai” (i.e., “my Lord and my G-d”) is just such an idiomatic phrase. 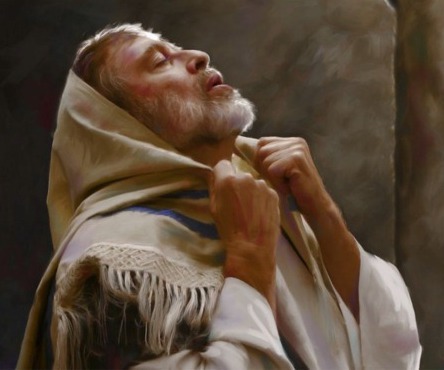 Thomas was not necessarily addressing the risen Rav Yeshua, holes and all, with this expression, but rather it shows his state of mind in shock, in surprise, in amazement, perhaps even in astonished joy to behold such a miracle. This is not the only phrase which I deem to have been misread by those such as Derek who seek to support an inflated view of the Messiah’s nature. I agree that we can limit our knowing God, but as you said, there are also limits as far as what we’re meant to know. @Onesimus, good way of putting it. I am okay with mystery, and while I realize that there are some things we aren’t capable of understanding with our finite minds, there may be other areas of wisdom that we refuse to receive or even consider out of fear, out of social pressure, out of cognitive dissonance. @Macher, growing up traditional but not religious and attending both Orthodox and Conservative shuls and having relatives all over the spectrum, I can’t recall any discussion of Messiah. But the issue was certainly important to our sages, and the antimissionaries turn a blind eye to Rabbi Schneerson’s messiahship. Yeshua is the human representation of HaShem. He is his son. The word that HaShem spoke from the beginning was in him. The Word from G-d can be said to be G-d in a way as it came from within the abundance of himself, but just like it says in that same bible, words spoken can take on a life of their own while they are out accomplishing what they are set out to do. Really this Trinity thing isn’t really a trinity at all, it’s a perfect and divine family unit with HaShem as both father and mother as HE has both aspects within Himself AND then HE also has a begotten son. For lack of a better example: liken to Rachel’s servant giving birth to Jacob’s son, but still belonging to Jacob and his wife even though she didn’t birth him. One thing I can say is that in Deuteronomy 18 it says I will raise up a prophet and put my word in his mouth, not a living human G-D or turn him into a G-D by putting my word in his mouth, but a prophet. It says also that a son will be born and one of the things he will be called is Mighty G-d. And G-D is what he has been called even to this day, but what he is called and what he actually is can be 2 different things. I also find it interesting that in Ezekiel 44-46 he is called the Prince. You have a son. He can look exactly like you, sound like you, even have expressions, many thoughts and mannerisms alot like you, You can give him the keys to everything you own, but he is not really you. He is one member in a family unit. However since Yeshua has many of the fathers attributes as his begotten son, he does have a divine nature. He sits at his right hand has HaShem’s complete confidence and trust so he gives him the right to be co-owner in everything and even worthy of worship. It still does not make him HaShem in the flesh as there is no other like him not even his son can be exactly like him. But since much of G-d is in Yeshua’s DNA, there is none other like his son either! I don’t think we will be completely clear on this until the time comes. In the meantime I really don’t think HaShem is busting a gasket that his son is being called and thought of as G-d. Much better his own son than a block of wood, stone, metal, any other object or even the outright worship of the dark one. Most if not all of us have been doing this in some form at one point or another in our lives. And HE has after all given Him authority in everything. I do still have this book in my wishlist and plan on reading it. Bless you brother thanks for sharing this review. That is the antimissionary meme. HR people, with their background in evangelicalism) know little about the history and teachings of Judaism, and are used to believing whatever an “authority,” tells them without verification. You’d have to throw out the 13 articles of faith, as well as voluminous writings of yearning for messiah. If you find people continually spitting out the same memes, you know you have encountered thought reform. Then they play victim and claim to be unjustly accused. I’ve known people who were in groups that became cultic, although they didn’t start out that way. It was really frightening, to see a thinking, feeling person reduced to a sort of Chatty Cathy where you pull the string and she speaks, and you could predict exactly what they were going to say, and they weren’t even aware of it. I would ask the person what they have learned recently in their personal study and prayer times. How has their new understanding made them a better person, more loving, kind, at peace, filed with joy? How do their friends and family view their behavior, if they haven’t severed relationships? Can they laugh, tell jokes and appreciate humor? Can they recall incidents of their youth and remember the person they were, or do they see it as all evil and negative? If believing in Messiah was such a wicked, evil and false thing, why did this belief improve their lives and relationship with the Holy One? If a person is having some sort of spiritual crisis, the place to go is to the wilderness, to spend time alone in prayer and study to sort things out. Why would a person want to jump from the frying pan into the fire? Personally I find that interpretation highly unlikely considering the strong Jewish reluctance to actually use the word God without blanking out some of the letters. As for using the name of God as “an exclamation”, it is something that any serious believer today would avoid – so how much more an actual follower of the physical Jesus who had just seen with his own eyes that Jesus had risen from the dead. I suspect the words Thomas used were, “adonai,” and, “elohim,” not, “YHVH.” This G-d thing is recent. If you think about how people use the name(s) of God both in cursing and flippantly, it makes sense that the use of the divine name was restricted. Whatever name of God was spoken, I can’t see it being used merely as an “exclamation”. @wcmotalmid — Thanks for the link. Skip Moen’s series on trinity does seem relevant, though he doesn’t get into the discussion of the distinction between divinity and deity that I have invoked from time to time. He did mention the notion in passing though. @Onesimus — I found it interesting that Moen also mentioned the “exclamation” and the effect it did and did not have on those who also heard Thomas say it. Regardless of Moen’s analysis, I have to tell you that I have heard this exact idiomatic expression from fellow Hebrew speakers. It’s not exactly the sort of expression one might use but very rarely, nonetheless it is used on the odd occasion just as one might hear an “OMG” in English. I can guarantee you that these speakers didn’t adopt the expression from reading the apostolic writings. While I recognize that the notion of this phrase as an exclamation of astonishment is somewhat new to you, the phenomenon is very real and it is virtually certain that this was how Thomas used it. PL, peroanlly I can;t see thsat someone who had spent so much time with Jesus would be so casual with his use of the name of God to use it as a mere “exclamation”, but you are clearly free to understand the words of Thomas that way if it makes you more secure in your own beliefs. However, that section of scripture is only one reference that points to Jesus being God. There are many more that make it much clearer and many are very well known such as the first chapter of John. The Word is God and the Word became flesh. @Onesimus — Thank you, “O”, you actually invoked a giggle this morning with your reference to the notion that choosing a certain interpretation might be done to make one feel more secure in one’s beliefs. Generally, I find quite the opposite to be so — that is, I’ve found that discovering the most likely actual interpretation has been more often than not challenging to any sense of security about prior beliefs. At the same time, it has been quite delightful to discover the human face behind the veil of cardboard religious perceptions and preconceptions. The first chapter of Yohanan’s besorah is another case where long-standing Christian doctrines have glossed over key details of the passage and failed to see such things as the distinction between Logos as Yeshua and Logos within Yeshua, thus why the passage is not saying that Yeshua is G-d but is rather saying something much more subtle and nuanced. Something of the same sort is required to parse Yohanan’s references to “first and last” in his apocalyptic visionary account. I’ve addressed both of these previously here and on the RPP blog (I think), though at present I haven’t time to reiterate them. HE put the breath of life into Adam, then HE put the word of life into Yeshua. Yeshua is the 2nd Adam and also HIS begotten son. That’s fantastic in and of itself. He doesn’t have to be more. @Eliz65: That is awesome in and of itself. But what does it mean to be HIS begotten son? I think that’s what many are trying to understand or hopefully get more revelation. Maybe we can’t with our finite minds? Who is being referred to here? And that is often where the problem lies – we struggle to accept something that we can’t understand with our finite minds. We are reluctant to lay aside intellect so we can just accept what God has revealed. We like to work it all out; we prefer to know how and why before we are willing to accept. Jesus has to be ALL He is revealed to be through scripture. Such a simple and straight forward revelation that would be sufficient to settle the question by itself, but there are countless other parts of scripture that demonstrate and expand upon this truth. The antimissionaries set the rules by claiming one can only use the tanakh, not any writings of the sages, kabbalah and certainly not New Testament writings. Then they have their interpretation to every messianic prophecy commonly referenced, and of course their interpretation is the correct one. It is sort of the reverse of the J4J spiel. They ignore that Judaism offers many interpretations to every verse. The reason for the passage where he says in the resurrection no one will be married or given in marriage is because earthly marriages make vows that say “till death do you part”. Once one dies the marriage contract is no more. “Whatever is bound on earth is bound in heaven and whatever is loosed on earth is loosed in heaven.” It is possible that some married couples will survive to the end and will change into new bodies but still be married to each other. That as they say is up to HaShem. But he also said his word never returns to him void and accomplishes what it is supposed to accomplish so that means also the word he spoke from the time of creation only better because we all will have chosen it to be so because we already know the results of what happened after the forbidden fruit. I know we all like to think we know all there is to know about the Divinity of Messiah, but the fact remains, as Derek correctly states in his book, that this is a profound mystery that is ultimately beyond human understanding. We have the understanding that, in spite of what most of the Judaisms of our day state, Yeshua, while fully human, also had a nature that defies comprehension. The closest thing I can compare the relationship between Messiah and God the Father to is the Divine Presence in the Mishkan and later in Solomon’s Temple to the ultimate “Ein Sof” God of the universe. Both are God but the latter is supremely transcendent and the former is an expression of that transcendence projected into our universe and able to interact with it and us. I think the Bible contains clues as to the nature of Messiah, the complete “in-filling” of the Holy Spirit during his “baptism,” how he described his relationship with God to his disciples, his being elevated very high to the right hand of the Father, but the “nuts and bolts” of who/what Yeshua is I think are beyond us. Faith is the substance that fills in the gaps of our knowledge and the bridge between man and Divine that allows us to be in relationship. Coming late to the party, but I wanted to respond to one thing you said in your review that I think missed the point Derek was making. His thesis in this chapter is not proving that the worship of the early Yeshua movement was not idolatry. It is proving what the early Yeshua movement believed about itself with regard to their worship and idolatry. That’s an important distinction. If he were trying to convince a non-Messianic audience that worshipping Yeshua is kosher based purely on NT evidence, I would agree with your assessment. But this section is again in support of his overarching thesis that the beliefs in Yeshua’s divinity were early and not a later addition from Gentile/pagan sources. For that, it is completely logical that he would reference what the early Yeshua movement said about itself (i.e. The New Testament), and this serves as evidence that they reverenced Yeshua in ways that were reserved only for reverence of G-d. And at the same time, they saw their practices in contradistinction to idolatry. So, to be fair, he wasn’t making that common Evangelical mistake of arguing for the worldview completely from Scripture. Thanks for that, Kari. You’re right. I didn’t get that distinction. The necessity of faith is basically what I was trying to communicate earlier, except you said it much better. @Kari Thanks for your comment. An important point. As James said above, all I was trying to say was that faith is necessary if we can’t completely understand a concept in the Scriptures. However, I don’t view trying to understand something with our “finite minds” as necessarily a bad thing or not something “spiritual”. I tend to take the Hebrew view of mind and heart basically being the same. We are told many places to seek knowledge, wisdom, and understanding and, personally, that’s what I try to do even if it might be out of my reach. If it is, then that is where faith fills in the gaps as James said. I’d say it is a bad thing IF our desire for intellectual satisfaction prevents us from accepting what God reveals merely because we don’t understand it; IF we make our intellectual understanding a condition of our accepting it as truth. Of whom can it be said: apart from Him there is no God, and He also died and came to life again? I’m sorry, “O”, that I must at present push you off with an incomplete answer about the text you cite from Yohanan’s Revelation (time crunch), but let it suffice for now to say that careful parsing of the original text reveals that the “first and last” actually refers to HaShem as distinct from the one who was dead and is now alive and whose function includes a very close representation of HaShem in order to fulfill some of His particular purposes. Likewise the distinction between Logos being “as” or “within” is discernible in the text, but one must realize that one must look for it. Often the process of reading the apostolic text (or even any biblical text) requires the application of background information about the language and culture of its writer and about other passages that may shed light on a given one. We’re not talking here about defending someone’s “traditions of men”, nor are such traditions automatically to be rejected in a sweeping knee-jerk reaction under that label. There were some particular traditions that Rav Yeshua decried as erroneous; there were others that will endure validly as long as do the current heavens and earth. @wcmotalmid: ” Faith is the substance that fills in the gaps of our knowledge and the bridge between man and Divine that allows us to be in relationship” I love this! Can I share this on my FB? @Onesimus and some others have been discussing the difference between knowing and knowing about, which is the Greek/Hebrew divide and I think we all struggle with it. I am aware of how much Greek/Western thought has influenced my attitudes; I must be far more Hellenistic than I would like to believe. Regarding knowing and knowing about: You could have a whole list of facts about my children, what grades they got in school, what activities they took part in, things they have said and what their friends say about them. But it would be delusional to assume you know them via this information. I know they are more than these things, and someone looking at these things might misinterpret them and come to a wrong conclusion. @PL: DSM-5 is the “bible,” of psychiatry/psychology that labels pathological behavior and mental illness. I suppose it is reasonable to expect that when you posit evidence that validates a disagreement with a rational individual, that they reply with counter evidence. Other options are: 1) don’t reply 2) delete the comment 3) block the person and then attack them so they can’t respond and don’t know what you are saying (except your friends pm you the posts) 4) Refuse to respond to the comment, but make an ad hominem attack in an attempt to discredit the person without addressing the substance. In the real world of academia and science (and it has its flaws) one couldn’t get away with this. Research and papers are peer reviewed; experiments can be repeated and debunked. The world of popular religion (not scholarship) employs social and emotional manipulation to maintain financial and social benefits, including the mutual stroking by machers, machers in training and wannabees. If you are going to call yourself, “rabbi,” then at least possess the same level of knowledge and wisdom as a traditional rabbi. The people I respect don’t feel the need to give themselves titles, whose purpose is only to validate themselves in their own eyes and the eyes of others. I am not impressed with any of these people as to areas of knowledge, wisdom or moral character. It would be different if these groups ever seriously sought to clean out the leaven, if they exhibited humility, rather than protecting their turf. Not saying perfection is required; just honesty. Chaya said: ” Faith is the substance that fills in the gaps of our knowledge and the bridge between man and Divine that allows us to be in relationship” I love this! Can I share this on my FB? @Onesimus: Just as Socrates was reported to say, “The unexamined life is not worth living,” I believe that the unexamined faith is not worth pursuing. It troubles me that most people put more time and effort into purchasing a car or home than choosing their faith community and beliefs. I don’t want to validate my beliefs; I want to test them and see if there are holes or weaknesses, rather than protect them. I don’t want to be so invested that I fail to move forward. James, I apologize. I apparently left out an important word in my post, the word “said” as in “James said”. At least I did put it in quotation marks. 🙂 I wasn’t trying to take credit for your statement, I was trying to give you credit for it. I’m glad to see I wasn’t the only one who thought it was really good. I know you weren’t. No worries. I just wanted to let Chaya know she could go ahead and use the quote, regardless of the source. It’s all good. @chaya1957 Now that you’ve figured out I wasn’t clever enough to come up with the statement that James made about faith earlier, I want to thank you for something you said in your last post ” I don’t want to validate my beliefs; I want to test them and see if there are holes or weaknesses, rather than protect them. I don’t want to be so invested that I fail to move forward.” I’d like to use that if you don’t mind. That is the reason I have asked God’s help and tried to be more diligent in my studies of Scripture the past 10 years, and why I’m thankful for forums such as this one. For far too many years I didn’t test my beliefs nearly enough and I have had to repent of many things I taught to other believers. I am no longer interested in dogma which according to Webster is defined as: “a belief or set of beliefs that is accepted by the members of a group without being questioned or doubted”. I have had to change my beliefs so many times during this period of my life but in the process I feel like I know my Master much better than I did before by learning about him as the Messiah of Israel and gaining the perspective of some of his brothers and sisters.. I’m sure I’ll need to change more, but where I’m at now I say “bring it on”. @Chaya – What’s up with the negativity toward the MJRC and Rabbi Derek? The MJRC does have authority – over those people who choose to submit to them. So if you’re not one of those people, how do they impact you? As for Rabbi Derek – kind of the same thing. He’s not your rabbi, right? So why so personally invested in what these people are or are not doing? You say you respect other people more. Awesome! That doesn’t mean everyone else is a moron. Plenty of people respect Rabbi Derek and the MJRC. Do we all need to think exactly alike and gravitate toward the same people? Or is there room in the universe for being able to find what is worthy of respect in people from different camps? 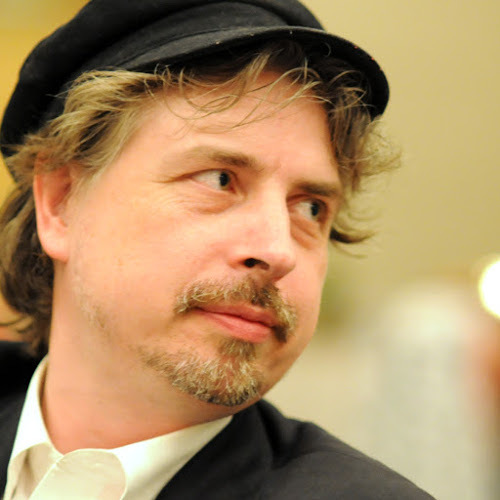 @Kari Miller: James does not want his blog to be a place of airing grievances, so I respect his decision and am not detailing bad behavior I have seen in several involved persons, and bad behavior personally toward myself. These people, IMNSHO, do not live in a way that would recommend them as leaders and teachers according to torah. These persons have opportunity to confess their wrong and make amends where possible. You rarely hear any admit any wrongdoing, rather, the discussion is always about damage control. A little secret: Ministries/churches/MJ/HR groups have as much or perhaps more corruption than your typical business or government agency, because at least the former have channels for grievances and accountability. However, in the world of religion, specifically evangelicalism, image is what matters. We wouldn’t be warned about idolatry so repeatedly if it didn’t apply such magnetism to our souls. The masses assist in ignoring and/or covering up the sin of their idols, because they seem to be in a co-dependent symbiotic relationship where each feeds off the other. Yeshua turned over the moneychangers tables. Funny, I never hear any, “leader,” suggesting we do the same, unless it is turning over the tables of the competing moneychangers. When I became a man/woman, I gave up childish things. One childish thing is believing mommy and daddy are perfect, always good, always loving. You can face reality or remain in childhood. Kind, loving to all, not just their admirers and mutual protectors, as Yeshua said the tax collectors did this. One who would sacrifice themselves for others, instead of sacrificing others for themselves. Shavua Tov, Chaya — Nice list of qualifications you have posted there…. It does suffer in that a couple of its items are rather susceptible to subjective interpretation, raising the question about who is to determine when some leader is actually falling short of the implicit standard or whether they are being misjudged and misperceived. But perhaps the circumstances to which you referred were sufficiently obvious to even the most casual observer that some wrong was being done rather than there being merely a difference of opinion or viewpoint. Accountability is a good thing, and mature organizations of suitable size tend to set up review committees and the like to enable reportage and investigation of grievances. Small organizations often cannot afford such luxury, though for them the Mt.18 principles should be applicable. However, when one is trying to address what is essentially a legal complaint, documentation, witnesses, and confirmation become critically important in order to prevent situations of “this one says ‘x’, and that one says ‘y’, and no determination of right or justice can be achieved. I have had my own experiences, both in the MJ world and in the traditional Jewish world, where injustices could not be resolved properly. Thankfully, I also have had experiences in which they could, though some passage of time was also required in at least one of them. So am I to assume that you directly, humbly and privately addressed the offending party/ies with how exactly they transgressed against you personally, and you were rebuffed? And that you then went to someone in authority over that person, confronted him/her together with that other person and were also rebuffed? And so now your public airing of grievances is one last-ditch attempt to bring this erring brother/sister to repentance? I am purposefully speaking in generalities and not airing anything. But yes, speaking with the individuals involved has either led to further abuse or deleting questions and comments and refusal to reply. No, I am not setting myself up for spiritual abuse, as the way the game is played is they circle the wagons and cover for each other, and even others not involved agree to keep things quiet and cover up bad behavior (I am speaking in generalities here) in order to protect the “movement,” and the, “gospel.” Everyone I know in ministry that sees garbage just quietly walks away without saying anything in the belief that this is serving God. Even friends and good people? will not speak up to leaders or their underlings, lest they create enemies of someone they may need in the future. It sounds like you are also buying into the attitude that “leaders,” are godly, and if they aren’t, those above and beside them are (the bad apple doctrine) and that they wish to do right but are just naive and mistaken. I have known many naive persons who have gone this route, and they are ganged up on, attacked, lied about and discredited so their information is seen as invalid. As I’ve said, I rarely hear any leader ever admit mistakes and wrongdoing, and if they do, it is only because they got caught with their hands in the cookie jar and this has been advised by their PR staff. It seems you are willing to believe that the idol must be in the right and the other person in the wrong. I am probably wasting my time, as you have already made up your mind. If that is what you need to believe, if it makes you feel secure, be my guest. Maybe some started out idealistic and sincere, and the system led them into compromise. You might not be aware that sociopaths have the highest numbers in these professions: CEO’s, high-production sales, ministers. Anyhow, you forgot something. You are supposed to blame the recipient and say they are bitter, instead of asking the big shot or little macher to explain themselves. You are employing unjust weights and measures which violates torah. But if you want to do a little experiment, just try challenging one of these “great men of God,” and you will see what they are made of. I am sorry you’ve suffered abuse. That’s nothing to be dismissed or taken lightly. And please understand I’m not being sarcastic or insincere. I was not present for whatever transpired, but if it was of the caliber that you internalized it as abuse, then it must have been serious and injurious. I pray you find healing! Online abuse and encountering dishonesty is not such a big deal for me personally. But my take is that he who is dishonest in little is dishonest in much. If someone mistreats one person, they are likely doing the same with others. So, it is not a matter of personal hurt, but a recognition that such persons should not be in a position of influence over others, especially those who are weak and young. Chaya, one last thing. Since you are a journalist, I choose to believe that you would weigh new information open-mindedly, but that you will probably weigh your personal experiences more heavily than one person’s unsubstantiated testimony (which is understandable, reasonable, and Torah-ly justifiable). The same is true for me. If it helps, I have already had experiences with leaders in MJ in which I directly and privately confronted sins committed (both against me, and bad behavior in general). So your experiment has already been my lived reality. I was not crucified or vilified or silenced or attacked. I was met with humility, and an acknowledgement of wrongdoing; I received an apology, the behavior was mended, and the relationship enabled to continue. Just as you speak from personal experience, so do I.
Shalom, and I hope we all realize greater depths of inner healing as we await Mashiach’s return. Kari, I certainly am not painting an entire group of people with a broad brush, as if all MJ is filled with completely unjust and unreasonable persons. My involvement with MJ in the real world was many years ago, for the most part. I do take the advice that encountering a fool in his folly is like meeting a bear robbed of her cubs. The bear will attack anything in range and so will the fool. I also assume that a person’s past behavior can be predictive of future behavior. If you had personal involvement in a congregation or ministry, this might be different, as the people involved may have valued your input and relationship, or perhaps they were humble and willing to admit wrongdoing and make things right. My decision for now is to choose to only fellowship in egalitarian settings, where each person has an equal voice and no person is above another. We can’t stop the fact that all of us are sinful, but we can avoid systems that promote and ignore sin. I see supporting a bad system as encouraging sin, and I am well-aware there are real sheep in the dens of the wolves and hirelings. Perhaps God put them there for the purpose of testing the leaders and the ministry, and like Daniel’s writing on the wall, determines the time of the removal of their candle. I’m curious what you think should be Jewish space. This is a somewhat complex topic, in my opinion and experience, so I have some (not much as here I go) hesitancy in asking within this current (other) topic. I haven’t seen where you’ve written about that; maybe a good place to start is for you to give me links. During the first century, the Temple would, no doubt, have been Jewish space. There might be an argument that in the future Jerusalem will be Jewish space. As for now, and even the first century, at least in places outside of any territory that could be called Israel, what would we be talking about? My understanding is that Paul wanted believers to be together. @Marleen — You’re quite right that the definition of the notion of “Jewish space” is complex, because the notion is an ephemeral one at best. It is not defined by or limited to physical spaces like synagogues and the Temple, or the land of Israel. I define it in terms of degrees of social pressure upon Jews to define themselves or conform themselves or explain themselves to the non-Jewish cultures that surround them in various ways, and to individual members of those cultures. Such pressures are lessened in Israel somewhat, but even here the community of Jewish Rav-Yeshua messianists suffers that pressure. The effect of it is to inhibit Jews from the freedom and motivation to explore doing and being and thinking purely in terms of the characteristics that define Jews as uniquely different from all other nations or peoples. For example, how many MJs define “heresy” in accord with Evangelical Christian standards and expectations? How many are able or are motivated to worship exactly as do all their fellow Jews who do not recognize the Messiah in Rav Yeshua? How many still believe there is something wrong about living according to Torah and Halakhah? How many limit the extent of their Jewishness to cursory celebrations of Jewish holidays? Now, this is rather a modern problem for MJs, though Jews have long faced pressure of various kinds from the non-Jewish world not to live among them as Jews, and sometimes not to live among them at all or even to continue living at all(period; full stop!). Jews in the galut have made all sorts of compromises for essential survival reasons, and modern MJs have inherited many of those inhibitions and had them actually exacerbated by their close proximity with Christians. This effect carries over into the MJ environment even with the non-Jews who have tried to leave traditional definitions of Christianity behind them in order to pursue a more authentic emulation of first-century affiliation with the Jewish Messiah. Thus they present to MJ a re-education effort comparable to that in Jewish communities that try to absorb many “hozrei b’tshuvah” (Jews returning in repentance to Torah observance that they never learned as children). Their situation is more complex, however, in that as non-Jews they are prohibited from doing some things in order to preserve Jewish distinctiveness. Since those boundaries are not well-delineated in the MJ environment, their communities of affiliation must be always on the alert to explain issues and to help in doing or not doing or finding alternatives, and to figure out what are those boundaries. At least in “hozei b’tshuvah” communities everyone is aimed at the same standards, even if some are falling short of them. Since MJs are themselves still “on a learning curve” of restoration and recovery, they are not free to relax and enjoy exploring Jewish life, even making Jewish-style mistakes, when they are also continually trying to compensate for non-Jews in their midst. The effect is a little bit like Heisenberg’s uncertainty principle in observing interactions within particle physics. The very act of trying to observe and measure these infinitesimal events distorts the results by adding the influence of the observer into the experiment. Thus MJs are in need of unfettered opportunities and venues in which to focus solely on what is Jewish recovery. Moreover, Jews who are not yet convinced of Rav Yeshua’s messianic credentials cannot comfortably explore such questions with MJs because they doubt the Jewish sincerity of MJ venues that are overflowing with gentiles. They rightly ask themselves if they are entering into a Jewish place to explore truly Jewish issues if so many gentiles are equally comfortable there all the time. What, then, of Rav Shaul’s efforts toward non-Jewish inclusion within the body of believers? What is to be the nature of Jewish and non-Jewish interaction or “togetherness”, particularly in our own era? You see, things are somewhat upside down from how they were in the first century. Back then, the question was whether non-Jews could be “saved” without converting to Judaism and behaving just like Jews. Nowadays the expectation is that Jews must convert to Christianity and behave like all other Christians. MJ has challenged that notion, somewhat successfully, for the past four decades; but it still faces the problem of some gentiles who mistakenly think they must behave as Jews, and Jews who mistakenly think and behave like Christians. In both eras Jews and non-Jews were and are intended to remain distinctly as HaShem called them (with minor adjustments here and there for special circumstances) and to mature spiritually each within his or her proper framework. Despite fears that Rav Shaul’s devotion to gentile inclusion had resulted in his bringing the uncircumcised gentile Titus into the Temple precincts that were forbidden to him as such, we find that Rav Shaul actually had not violated those boundaries. But in Antioch he excoriated Shimon Kefa for hypocrisy because of pulling back from the table fellowship with “cleansed gentiles” that he knew to be acceptable and appropriate. How, then, should “cleansed gentiles” (as distinct from converted ones) interact with MJs? Should they attend or refrain from attending Jewish religious services like those of erev Shabbat and Shaharit Shabbat? Should they seek to participate in such services with active roles, or should they refrain, sit quietly and unobtrusively, and merely observe and learn? Should they help to prepare meals or other refreshments for ‘Oneg Shabbat or Kiddush; and should they feel free to eat and “schmooze”? If they constrain themselves to unobtrusive roles vis-à-vis Jewish space, in what sorts of forums can they express themselves freely so as to foster their spiritual growth toward maturity and a feeling that they are contributing positively to their communities of affiliation? I have some suggested potential answers to these questions, including some degree of variability for differing community circumstances, but I’ve already made this answer rather long. You are totally right there in saying “one must look for it. You have to look (very hard) to find what you WANT to see rather than accept what the text ACTUALLY says. That is the very same approach to scripture taken to support most of the erroneous church traditions that have been handed down from generation to generation. Some “expert theologian” reads something INTO scripture and then passes it on to those who unquestioningly submit to his teaching. Derek Leman had an interesting blog post today about the wisdom of men. Worth a read. @Onesimus: That is called a confirmation bias, where one looks for what one wants to find and disregards any evidence to the contrary. This may occur consciously or unconsciously. Therefore, you can’t trust the works from anyone who has a pony in the race. At least it would be honest if an author/speaker admits that they are seeking to promote and validate a specific position, rather than making false claims to honest research and lack of bias. So, perhaps those who are looking for a leader or teacher to tell them what to do/think, have chosen the consequences? We all have natural biases for various reasons, but if an individual is connected financially or socially to the religious matrix, why do you believe they are trustworthy? My dear “O” — You invoke the notion of “what the text ACTUALLY says”, and yet you couple that with what you think the Spirit is telling you about it. This is a fundamental epistemological question: How do we know that we know? By what means do you think you are understanding what the text actually says? Are you fluent in Koine Judeo-Greek, and reading the apostolic text in that language? Are you relating passages to parallel forms in the Hebrew bible as read in the Septuagint Judeo-Greek and in the Hebrew original? Are you sufficiently familiar with the worldview of the first century Jewish writers, including Pharisaic insight and wordplay methodology as well as the apocryphal Jewish fantasy that underlies some of Rav Yeshua’s parables? Are there any hints in the Greek text that indicate where it has been adjusted to accommodate variations in multiple manuscripts? All these factors play some part in deciphering what a given text actually says, and translators cannot compensate adequately for all of them. Unless HaShem’s Spirit has taken you on a rather intensive tour of first-century Israel, I don’t know what methods you have used to acquire the sense by which you think I’m reading something into the text that is not “actually” present. Yohanan writes from an interesting mystical perspective, and I see all sorts of influences in play in his manner of expression that are not visible superficially and in English, but that reflect Jewish techniques of expression that are exemplified in other Jewish literature. One may not be able to rely solely on any human “expert theologian” or even any committee of them, but one should not ignore the knowledge that such long-term students can bring to the study process. James, thanks for your link to Derek’s post. He addressed the thing that is really irritating to me in my old age where people claim their personal revelation always trumps diligent study and personal action based on wisdom God has given through study. Sometimes they really may have revelation, but in my experience most of the time they don’t. In fact sometimes I think it’s laziness disguised as spirituality. I suppose it all comes down to what kind of study you are referring to. Do you mean study of scripture? Or do you mean study of what others say about scripture? Do you mean studying what scripture actually says or do you mean referring to what others are saying that scripture “really” means? In my many comments in which I’ve referred to relying on the Holy Spirit – I have never suggested that study is not needed. But it needs to be study of SCRIPTURE and not study of man’s “bible study resources”. I guess that invalidates my reading of Ismar Schorsch’s Canon Without Closure and Rabbi Zelig Pliskin’s Growth Through Torah as part of my devotional readings and study of each week’s Torah portion. It’s a shame, because I find that both of these gentlemen have extraordinary insights into the Word based on their own education and experience. I was part of that “religious matrix” for many years – hoping to receive some kind of recognition that would admit me to church leadership. I played the game and was rewarded with preaching opportunities, leadership of a youth fellowship and an appointment as elder of the church I attended. Then for some reason things fell apart. Maybe dissatisfaction of knowing something wasn’t adding up as it should. I left that church, tried a few others as a “mere” congregation member, and finally gave up. After 15 years of wrestling with doubt I finally broke through, discovering a faith in God that was different to before. I tried to find a suitable church (because Christians need to “go” to church”), but found obstacles being continually raised. I was able to spend some time with a couple of local churches after I moved to my current home town; one was a charismatic group, the other a traditional Calvinist church. They were two totally different experiences that reinforced the same lesson about the dangers of man’s traditions. Both relied mostly on teachings based on sources other than scripture. When scripture was referenced it was always in the context of someone else’s teachings, whether that was a celebrity charismatic preacher or a reformation theologian. Any understanding of scripture was drawn through their chosen theological “authority”. Finding myself outside of “church” I could either give up and forget about it all or I could take the time to learn for myself. Choosing the latter I had to decide what authority I would rely upon. Would I continue to seek out suitable teachers or should I just turn to scripture for myself and see what I could make of it? I tried the latter and in the process found Jesus’s promise to send the Holy Spirit to teach. Since then I’ve chosen to trust Him to teach what I am currently able to learn. If there’s something that remains puzzling, I put it aside. I’m content to wait and trust that the puzzle’s resolution will come later – IF it’s something I need to understand. By putting scripture and the Spirit ahead of men’s teachings, it has also helped in distinguishing between good and bad teaching when I hear or read it. That is far different to the days when I was so easily swayed by what I was taught by various “ministers”. Onesimus, thank you for your honest portrayal of life in the matrix. i bet you are thankful now that you never received the leadership position you desired, which would likely have forced you into greater compromise. I like the Jewish practice of gaining most of our learning not from living teachers? Why? Because we know how the person ended their life and the fruit of it. I believe we need to test everything, as well as our own conclusions. Formal religion can have so many pitfalls, but what’s to stop you from getting a couple guys, going out for coffee and being able to openly bounce things off one another? It could very well do so. Just as it invalidated a lot of the stuff I was reading and listening to in search for religious knowledge. The question is how do we assess the value of what we read or hear? Do we allow a favoured author to colour our understanding of scripture? Tim, I’m going offline in a few minutes to go to bed. I have to be up early. I really don’t think the God who, through His prophet said, “let us reason together” (Isaiah 1:18) intends to have the Holy Spirit make us check our brains at the door. If that were the case, I could just lock myself up in a small room somewhere with a Bible and a flashlight and the Spirit would tell me everything I needed to know. I wouldn’t even need to read Biblical Hebrew and Greek (which I can’t, so I’m at something of a disadvantage already) or listen to any teacher or clergy anywhere. I mean, it even eliminates going to church, listening to sermons, and going to Sunday school, because all of those activities involve people and their opinions. I know you’ve said before that you don’t advocate eliminating all human contact relative to our faith and Bible study in favor of a monastic existence, but you sure have some definite ideas about what you think is right for the rest of us. james you keep bringing up that “checking your brain at the door” straw man in repsonse to what I’ve been saying. And it has nothing to do with MY ideas about what is right for anyone else. I have regularly pointed out the over-reliance on man’s opinions when it comes to Bible study. People are relying on commentaries, study bibles etc, rather than putting them aside to study scripture itself WITHOUT the influence of men’s opinions. What is so hard to understand about that? Why is it so hard to accept that the Holy Spirit will fulfill what He has been sent to do ? I’m sure you gave that as a flippant response – but YES, what have you got to lose? Apart from a reliance on men’s (often mistaken) opinions about scripture? What harm could it do to study scripture alone and allow the Holy Spirit to reveal things to you. Forget your inferred (also flippant) idea that the Holy Spirit will tell you everything you need to know, as if He will pour all required knowledge into your head at once. The Spirit helps you grow and reveals according to need and ability to understand, and it is a lifelong process, not something achieved in one session in a “small room somewhere”. But that lifelong process needs to have a starting point. Onesimus, it sounds noble to want to study Scripture only. I used to say exactly what you are saying. But there are some real problems trying to do that unless you are fluent in biblical Hebrew, Greek, and probably Aramaic too, which I know I’m not. I do want to know what the original Scripture says which is why I highly recommend the work of Skip Moen to anyone who really wants to dig into the Scripture behind our translations which distort our view of the original text. A good example of his work is his Today’s Word for today which summarizes his investigation of the doctrine of the Trinity: http://skipmoen.com/2014/06/10/the-trinity-who-decides. I realize you may reject or be critical of what I have just written since you consider it to be man’s “bible study resources”. But I think it makes sense that God gives revelation to men who study Scripture just as he gave revelation to the writers of the gospels and the apostolic writings as they searched the Hebrew Scriptures. We have to judge what the current revelation is in light of the Scripture, but I don’t think we can just reject all of it without considering that someone else may have understanding about Scripture that we might not have. But ultimately, as Skip says in the link I provided above, who decides? You do. If you want to rely on what God gives you as an individual that’s your decision. But I continue to search and I realize every day that men like James, meaning the writer of this blog, Skip, Derek Leman, D. Thomas Lancaster (I could list many others) as well as godly men down through the ages know more than I do. I’m sure you know more about Scripture than I do. That’s why in my opinion we need each other. Do we accept as revelation from God everything that other people call revelation? Absolutely not. But at same time, I need others like Skip to show me what the original language says. Otherwise I can’t get past the translations I have. Anyway, I wish you well in your approach to Scripture and when you make comments I try to learn from what you write. I’m not sure, PL, that things really are so different (from when Paul was writing) — especially if what is meant is that the difference is things are worse for Jews now — specifically concerning trust of whether a place or environment or gathering or community “overrun” or significantly populated by gentiles is trustworthy or safe for Jews. If, in the current United States, we can’t even take seriously so as to try to do what Paul encouraged or insisted on, then Paul’s words are really pointless. What is, between then and now, most different is that no one is threatening to take away Jewish religious freedom or “place” (with the then resulting compulsion to worship in the state idolatrous style of all that emperor as a God stuff) as we are not under Rome. Granted, I’m sure there are other complications in Israel with the whole Palestinian issue and whatever else is going on there, but Paul was mostly addressing people in diaspora settings (which has something to do with place/space). Even if it is hard, I think we have to try to apply ourselves. To me, that should even involve spaces that aren’t Jewish, so to speak, at all. So, for instance, I was unhappy when a person who had paid (years ago now but it’s an example) for team jerseys decided to have a social gathering to which he would invite the families of a children’s baseball team. He had been the kind of person during the season who wears his better-Christian, exemplary person, status on his sleeve. And there were other issues I won’t get into. Anyway, the event was to be a pig roast! What the heck is the point of that? If you want to include everyone, and not just be a pompous, self-pleasing show-off, do something else. This neighborhood even has a lot of Jewish citizens, although I am not aware that anyone was Jewish. Christians should grow up. Happily, I heard that no one responded and the whole thing didn’t happen; it’s also unhappy because this “Christian” wasn’t behaving fruitfully. Now, I understand, even in the U.S., the difficulties of now (besides, of course, the history/histories). I understand other difficulties you didn’t mention — for Jews, recovering Jews, Jews in mixed marriages, gentiles in mixed marriages, potential recoverers in marriages with gentiles, potential recoverers in general, people bringing up children, and on and on. Rather than focusing on a couple categories of people, communities or mindsets of faith are responsible to care (in real ways) what is going on for all dedicated and sincere [with these two words I am just trying to get a concept across while the words are inadequate and can be picked apart and I hope will not be a distraction going forward] participants. But, going back to what I quoted from you, I would say this must be with sites on a “truly Jewish restoration of MJ, supportively …rather than overwhelmingly quashing [and] crowding into and trampling” it. That being said, I am tending to think there is not only one way to look at being together. Jewish community centers and many Jewish congregations are accepting and often supportive of mixed families and people who identify with the Jewish people and a Jewish perspective in life. There would be limitations, certainly, as a true Jewish setting is more responsive than most Christian ones (with for instance charity for needy families who are indeed members, contracts for marriages, etc.). I personally do not think we should expect people of faith in Y’shush to leave their communities and congregations. They are who they are and can navigate with the Holy Spirit guiding what to now do. There is nothing available to point to as ideal, although I am thankful for loving efforts wherever they have been and may be found. The flip side of the coin is that I’ve seen a lot of Christians attribute all sorts of things to the “leading of the Holy Spirit” that ultimately ended up being personal wish-fulfillment. When I ask some Christians how they can tell the Holy Spirit led them to this or that, they say they prayed about it and then “had a feeling of peace.” That feeling told them the Holy Spirit wanted them to do this or that. So how do you tell the difference between an emotional state supposedly induced by the Holy Spirit and making the decision about something you want to do anyway and imagining that feeling of satisfaction, relief, or whatever is actually supernaturally caused? To my way of thinking, the Holy Spirit doesn’t isolate us from our human experience but interacts with us and the universe around us, including the physical Bible we have. It can help tell us when some teacher is goofy or lead us to a realization that we never would have arrived at on our own. But I don’t think all that is to the exclusion of literally every human teacher, author, Pastor, Rabbi, or other authority God may well have established to illuminate others. If you came to some earth-shattering realization about the Bible, some interpretation that everyone else has overlooked, as given to you by the Holy Spirit, should you keep it to yourself or communicate it to others? If you believe you should communicate it to others, how would you do it? Word of mouth? Blogging? Writing a book? But you’re just a human authority? Why should anyone listen to you when they too have simply access the Holy Spirit and (supposedly) arrive at the same conclusions as you do? Trouble is, with thousands upon thousands of Christian denominations in existence, we see that there isn’t universal agreement between fellow believers of good conscious and character. So how do you tell which ones have actually learned from the Holy Spirit? Do you believe only those other Christians who agree with what you’ve already concluded? Is that proof that only you have been influenced by the Holy Spirit? Our humanity is always going to get in the way of what God is trying to tell us, either by the revelation of the Bible, the revelation of the universe around us, or the revelation of the Spirit. We won’t actually, truly, completely know God until the full arrival of the New Covenant in the Messianic Age (Jeremiah 31:33-34)…and that hasn’t happened yet. The death, resurrection, and ascension of Jesus only inaugurated the New Covenant age, just barely got the ball rolling, so to speak. The access we have to the Spirit right now is a mere down-payment of what is to come when the “Spirit will be poured out on all flesh” (Joel 2:28). The “feelings” we get that we sometimes attribute to the Holy Spirit cannot contradict the Bible but often people who say they’re “spirit-filled” say and do all kinds of things that don’t make sense Biblically. They justify this by spiritualizing the meaning of what the Bible says, even when it clashes with the context of the scripture being referenced, the author, the language, the cultural influences, and all those other things that factor in to us understanding the Bible. The Holy Spirit, in inspiring the various Biblical writers, worked with the “tools” available, which are the authors, the languages they spoke and wrote in, their culture, the way they taught and understood teaching, even midrash or interpretation as it existed in those days. If the Spirit didn’t do those things, the message of the Bible, including the actual, spoken teachings of Jesus might have been incomprehensible to his immediate listeners and to those who read of his teachings decades later when the Gospels were first written. In his book Mishnah and the Words of Jesus, Roy Blizzard compared the teachings of Jesus to those of other Rabbis about a generation before to a generation after Jesus and discovered that the teachings of Jesus were very much a product of their times. In other words, Jesus didn’t use a teaching style or method so radicalized, that it was alien and incomprehensible to his audience. The only problem we have is two-thousand and more years of separation from the original teachings, prophesies, and writings in the Bible and especially in Christianity, a massive disconnect from the entire environment that gave birth to the various parts of the Bible. We are the aliens attempting to comprehend God’s wisdom, which is a primary reason why we need the Holy Spirit, to help us put aside centuries of Gentile supersessionism and Jew-hatred and to see the scriptures for what they were originally intended to be and to hear their actual message, as close as we can get to it, anyway. That doesn’t take the place of learning the original languages or even (gasp) studying the insights of gifted teachers, but works in concert with the resources we have in our world to understand the Word of God. James, the leading of the Holy Spirit has nothing to do with “emotional states” or “feelings”. It is about knowing and confidence. It is up to Him to make what He teaches absolutely clear and to give that confidence. From my experience that isn’t always instantaneous; mostly it comes with an idea or a hint that over time will be confirmed from a variety of sources in different ways. Easy answer, firstly you keep it to yourself and trust God to give confirmation (or correction) regarding that “earth shattering realization”. Don’t share anything about it publicly until confirmation has come and you’ve been made sure that that “realization” isn’t on the wrong track. A the most talk it over in private with a person (or people) you KNOW you can trust. If that “realization” is confirmed then it can be shared through whatever means is viable. In reality, it’s a bit over the top to refer to “earth shattering realization” and it is rare that “everyone else has overlooked” what you have found – often the confirmation will come through others who have received the same “realization”. “Tradition-shattering” is a more accurate description – finding out how much of what we have been taught has no biblical foundation. But while we continue to study scripture through the lens of commentaries etc, we will remain bound by the traditions of those commentary writers. I think the thing that is being overlooked in most of the objections to what I’ve said, is that we are not addressing a dead book or a distant God. Scripture is a collection of Holy Spirit inspired writings provided by a God who doesn’t hide from those who seek His Truth and He doesn’t restrict access to the Truth to academics. Onesimus said: James, the leading of the Holy Spirit has nothing to do with “emotional states” or “feelings”. It is about knowing and confidence. It is up to Him to make what He teaches absolutely clear and to give that confidence. From my experience that isn’t always instantaneous; mostly it comes with an idea or a hint that over time will be confirmed from a variety of sources in different ways. Actually, that pretty much mirrors how I think the Holy Spirit operates with human beings. It isn’t just “me and the Spirit,” there are multiple factors at play, including my reading the Bible, listening to sermons, discussing in Bible study, reading commentaries, reading history books, reading papers on archaeology and so forth, with the Spirit subtly shaping and guiding my perceptions and my experiences. James, the important thing is to start with scripture ALONE. Don’t study scripture WITH other resources. Trust the Holy Spirit to give understanding of what is being read. Don’t turn to a commentary to find “the meaning” of passage that isn’t immediately understood. Be prepared for and accept that things may remain a “mystery” for the time being. We don’t need to understand everything NOW. We just learn and understand what we can. Other things will come later as understanding grows. Sermons, discussion, history books etc are useful AFTERWARDS and can help us process what we’ve been studying IN scripture. But they shouldn’t be used to shape the direction of our study before (or even during) that personal time with scripture. Often we will find that our study of scripture will equip us to handle those resources (rather than vice versa). Our discernment will be enhanced and we’ll be able to differentiate between the good and the bad within those resources. I didn’t type “Y’shush” — rr, but it is interesting. So… I’d go with Y/J’shua. Often the latter is a much better scenario for experiencing genuine fellowship and active relationship. The formal thing mostly promotes passive acceptance of the divide between “average church goer” and “qualified” minister, where the minister deals with God on behalf of the rest. That’s a result of what they’ve been taught or led to believe by what goes on in their churches or through what they’ve observed on “Christian” TV broadcasts. It’s not an understanding they’ve “gained” from scripture. And from my experience with people like that, the feelings they associate with the Holy Spirit have often replaced any personal involvement with scripture. You’re making an assumption about the source of their misunderstanding. You can’t possibly know for certain where each and every person I encountered learned about the Holy Spirit. There’s not specific way people are taught to detect the presence of the Spirit except to say that the Spirit cannot contradict scripture, but then, your assessment of scripture may determine how you evaluate for the Spirit. This is the problem with wholly subjective experiences. There’s no one to check in with to determine if what you have encountered is good, evil, or even real. If a person is isolated or cut off from fellowship in a congregation and is relying only on online sources, they could easily be mislead or simply start trusting only in their own perceptions. Either way, that person could be in trouble. James, I am making no assumption about the fact that their misunderstanding DIDN’T come from scripture. Maybe I missed a few thousand possible other sources than the few (common) examples I mentioned – but scripture would not be one of those sources because their claimed experience of the Holy Spirit (based on direction through feelings and emotions) does not come from scripture and is not supported by scripture. As spirited as this debate has been, it’s drifted quite far away from the original discussion about Derek Leman’s new book and the topic of a Divine Messiah, so to avoid the temptation to continue the current conversation and end up going back and forth for a few more days or weeks, I’m closing comments on this post. Time to move on.